One of my favorite units to teach is rhetorical analysis because I love incorporating robust, relevant, and timely texts into my classroom, especially when timely speeches perfectly coincide with classical literature we are reading. 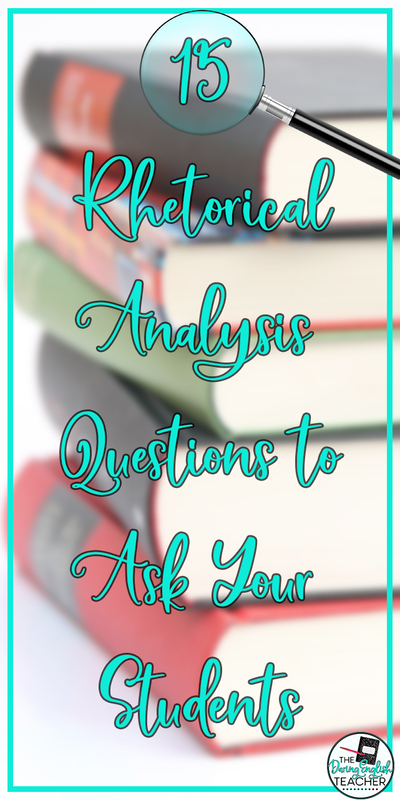 When teaching rhetorical analysis, one of the most important things to keep in mind is not what the author or speaker says, but how the author or speaker says it and why it is so effective. 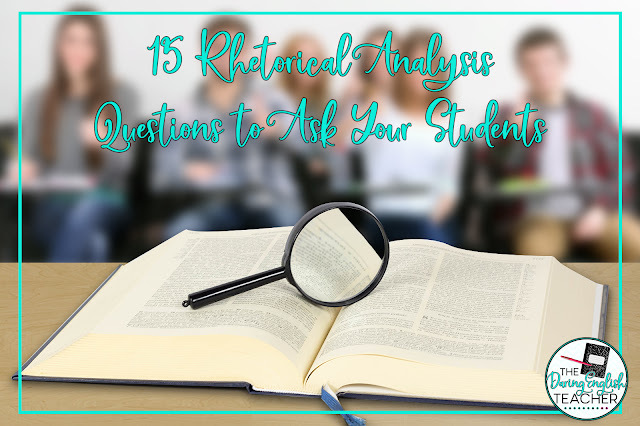 Once you get beyond the main ideas and supporting details and really ask your students to look at, consider, analyze, and evaluate the effectiveness of what the author or speaker does, then you are genuinely analyzing a text for its rhetorical merit. When I first teach rhetorical analysis to my students, I use direct instruction strategies. I provide my students with rhetorical analysis terms and examples. Then we begin analyzing and annotating text together. 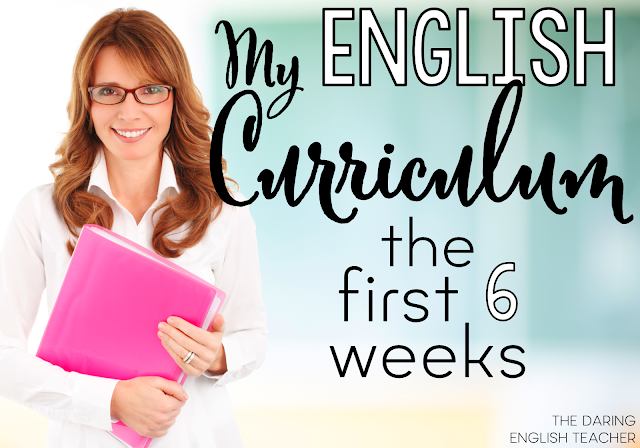 Usually, we will analyze a couple of texts together as a class, and then I release them to work in a small group or with partners. Before I have my students work entirely on their own, I first have them analyze and annotate a text individually for about ten minutes, and then share their findings with a partner. This helps students build their confidence. If you are teaching rhetorical analysis, here are 15 questions you should ask your students about the text they are reading. These 15 questions are some of the questions included in my Rhetorical Analysis Task Cards. What is the main idea or assertion of the text? Explain two different ways in which the author/speaker supports the main idea. How does the author/speaker establish ethos in the text? How does the author/speaker appeal to reason (logos)? How does the author/speaker appeal to emotion (pathos)? Is the evidence used to support the argument reliable? Explain. How does the tone affect the author/speaker’s credibility? What is the tone at the beginning, middle, and end of the text? What is one rhetorical device used in the text? Explain it’s effectiveness. Identify one example of figurative language used in the text. Explain it’s effectiveness. Does the author/speaker reveal any prejudices against people who might disagree? Explain. Was the author/speaker effective in achieving the purpose? Explain. In your opinion, what is the strongest element/part of the text/argument? Explain and provide evidence and reasoning. In your opinion, what is the weakest element/part of the text/argument? Explain and provide evidence and reasoning. Do you believe the author/speaker achieved the purpose? Explain your answer and provide evidence and reasoning in your response.